Book your skydive now!Purchase your gift certificates! 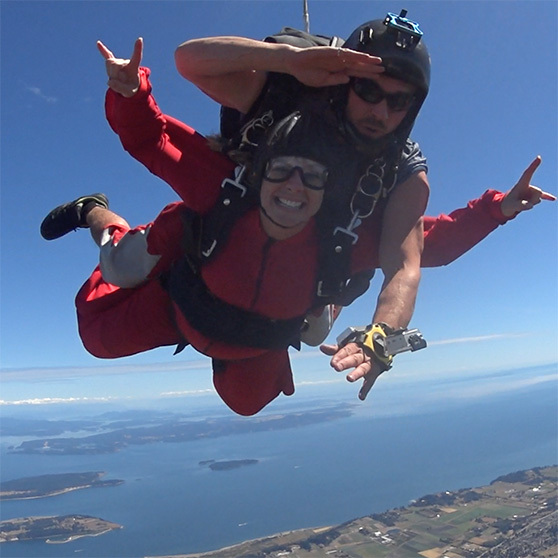 Come skydiving in Victoria with us over the beautiful Gulf Islands! 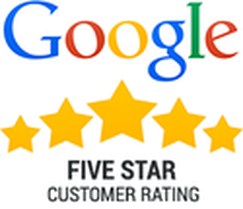 We are the Top Rated Drop Zone in Western Canada on Google Reviews! Enjoy the incredible views that Vancouver Island skydiving has to offer. We provide safe, exhilarating experiences for both first time tandems as well as those who wish to become a certified skydiver themselves. We have the most experienced staff and the newest gear available for increased safety. Are you ready to experience human flight? Come feel the thrill of jumping out of a plane at 10,000 feet. It is the experience of a lifetime! 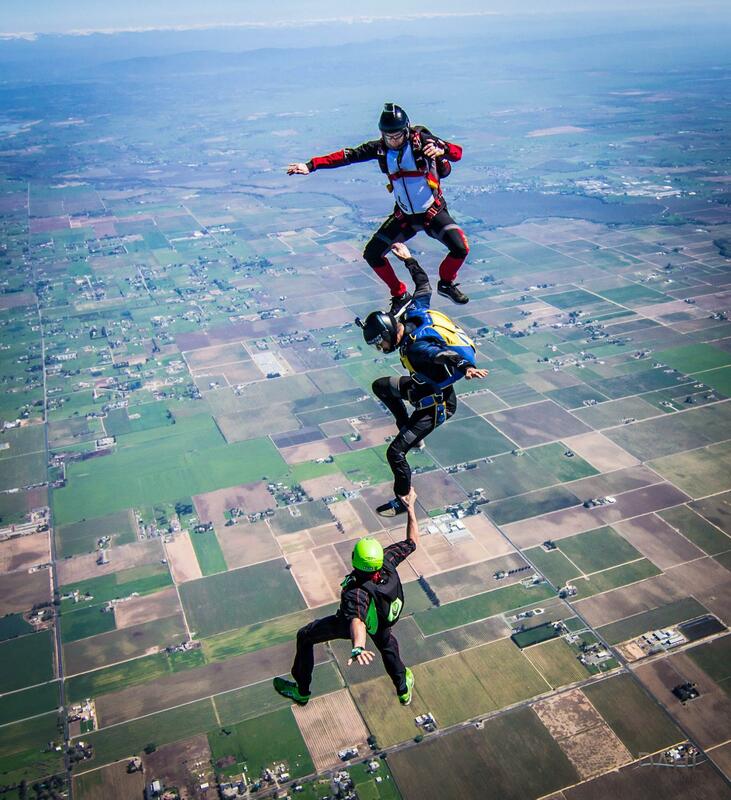 Want to learn to skydive solo? With just a few hours of instruction from our experienced and qualified instructors, you can be jumping on your own for your first time. Find out more here! 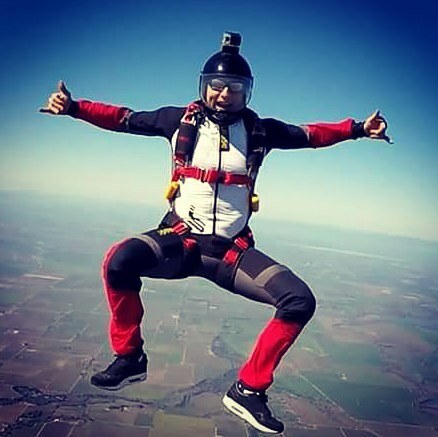 Want to take your first jump with someone? It’s easy! Show up 30 minutes prior to your scheduled time. After meeting your tandem master, you’ll be ready for an unforgettable experience. Find out more here! Decided to finish my First Jump Course with Capital City Skydiving and couldn’t be happier. Had my first solo chute deploy and landing. Awesome group of people and felt very safe the whole time. Still buzzing from that last jump!! Wow!! Not only has this been an incredible experience in itself, working toward getting my solo license, but makes one heck of a difference with such an incredible crew made up of experienced, knowledgeable and incredibly informative people. This place has a family feel to it and nothing but open arms in welcoming new comers into the world of skydiving!! Thank you guys so much for making the start of this journey for me so uplifting, pun intended. I look forward to returning every chance I get to keep on learning! Absolutely amazing. Both the staff and experience are great. I took the first jump course yesterday, and came back today for my first jump. That first jump was such a completely blissful feeling I just had to jump a second time. I can’t wait to come back and start the PFF! If you have ever thought about skydiving all I can say is, stop thinking and just do it! Being surrounded by the awesome people of Capital City Skydiving will only make it that much better of an experience. Oh yeah, thanks Tyler for spending your birthday being our JM!